Urban Petals is a floral and event design company based in Greenville, South Carolina. Our mission is to create beautiful, tailored events that inspire and tell your story in a meaningful way. We have designed events all across the Southeast including South Carolina, North Carolina, and Georgia as well as New York. Our studio, conveniently located in the Upstate of South Carolina, provides a convenient base for both local and destination events. What began as a home-based business, has grown and evolved into a solid, trusted floral design company. The growth and success of Urban Petals in large part can be credited to the trust of our amazing Clients as well as our relationships with like-minded industry professionals. Our experienced team is focused and kind. We’re able to produce events of any scale with a polished, flawless execution due to our logistical and design experience. If you are looking for a design company that is detailed, thorough, and will execute your vision with precision, our team is ready to get started! Anna Stouffer started Urban Petals in 2012. She is a self-taught entrepreneur and maintains a fresh perspective on the floral and wedding industry by studying and freelancing with world renowned designers. A few of these designers include: Holly Chapple, Steve Moore, Ariella Chezar, Erin Benzakein, Shane Connolly, Robbie Honey, Nicolette Owen, David Beahm, Karen Tran, Sarah Winward, Sue McLeary, and co-members of the Chapel Designer Organization. After leaving her full-time career in the legal field in 2016, she has continued to expand Urban Petals in new, exciting ways. In 2018, Anna was recognized by industry professionals “35 Under 35 for 2018” as one of the “best and the brightest rising stars in the floral industry”. She has also gained national recognition with features on Martha Stewart Real Weddings and Style Me Pretty. 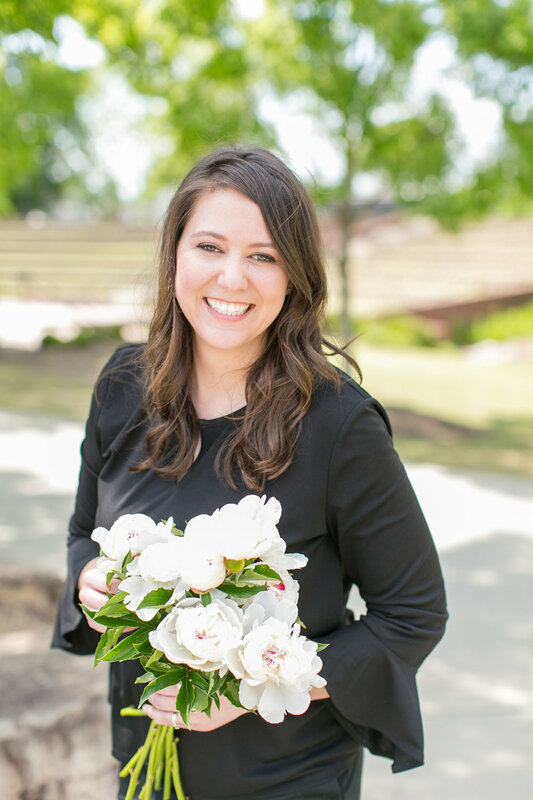 When you book Urban Petals, you work directly with Anna throughout the six-14 month long process. She meets with every Client and oversees all of the design and execution details. FLORAL DESIGN. Urban Petals offers floral design services to bring beautiful arrangements, floral installations, and decorative items to your event. We excel at detailed arrangements; custom, large-scale installations; and breathtaking bouquets. Our inventory includes a wide variety of vases, candleholders, lanterns, columns, and styling tools. EVENT DESIGN. Urban Petals offers event design services. Event design is what makes your entire event beautiful and tells a cohesive story through the curated selection of visual components. Textures, linens, rental items, color palettes, place settings, and paper products can all work together to tell your beautiful story and elevate your celebration to an extraordinary experience. With al a carte packages ranging from consultation to full design execution, you can rest assured that you are booking services to suit your actual needs and simplify the event planning process. CURATED GIFTING. Urban Petals Curated Gifting Services are ideal for Welcome Gifts, Corporate Gifts, Client Gifts, Bridesmaids and Groomsmen Gifts, and Thank You Gifts. Our team will work to customize the contents of your gift to reflect your brand, event, and content specifications. URBAN PETALS DESIGN STUDIO is located in the Upstate of South Carolina in the historic downtown of Greer. We are just a short drive from downtown Greenville with convenient (free) parking along Trade Street. Meetings in our Design Studio are available by appointment only. You can contact us here, email flowers@urbanpetalsllc.com, or call (864) 569-6112 to book an appointment. URBAN PETALS LIFESTYLE BOUTIQUE opened in September of 2018. We carry curated items for the home, gifts, plants, and Grab-N-Go style bouquets. 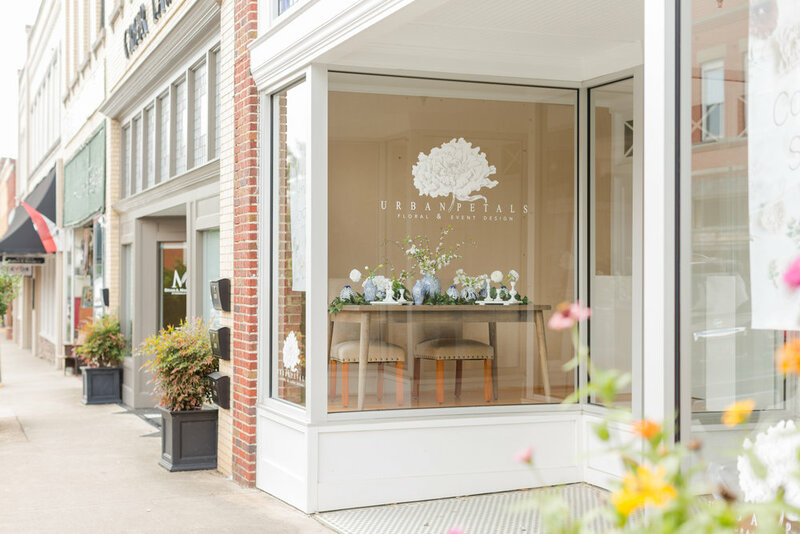 The Boutique is located inside Urban Petals’ Design Studio at 210 Trade Street, Greer, SC 29651. Stop in Tuesday - Saturday between 10 am - 5 pm.